Don’t be surprised if you run into someone you haven’t seen in years at Ma Cuisine. It is that kind of place. A temple to all things Burgundy, Ma Cuisine is always buzzing with people who love great food and wine. Although a favorite of tourists, Ma Cuisine also has a huge following among locals, always a great sign. Husband and wife team Pierre and Fabienne Escoffier run their small, intimate restaurant with grace. Fabienne usually cooks, while Pierre oversees the massive wine list. The food is simple, hearty and perfect for enjoying the vinous bounties of Burgundy. Reservations are essential, as Ma Cuisine is always packed. I also suggest planning ahead because Ma Cuisine is closed on Wednesdays, Saturdays and Sundays. Ma Cuisine offers a prix fixe menu as well as à la carte options, all listed on chalkboards that adorn the walls. I often choose the tuna tartare, but it isn’t on the menu this time. 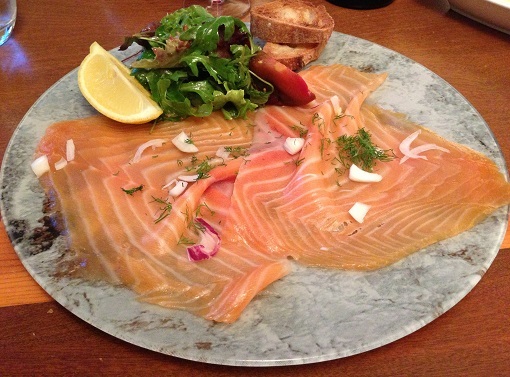 The smoked salmon is delicious though, and an ideal start to dinner on a warm summer night. 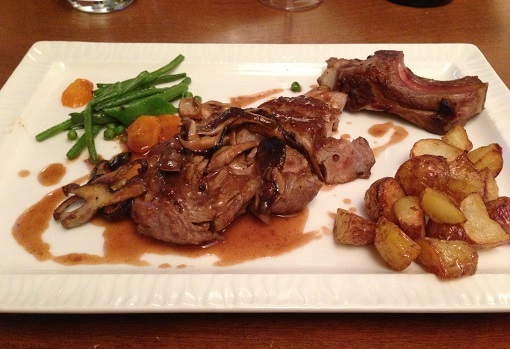 Veal is another highlight at Ma Cuisine, as the meat carries flavors so well and is also ideal with red Burgundy. My entrecôte is cooked to perfection. The sautéed mushrooms and Madeira jus are bursting with flavor. Pierre Escoffier’s wine list is a delight. Escoffier has deep relationships with Burgundy’s top producers, and it shows in the breadth of his selections. Over the last few years I have enjoyed bottles of Coche Meursault villages, Mugnier Musigny and other jewels that are sprinkled within these pages. 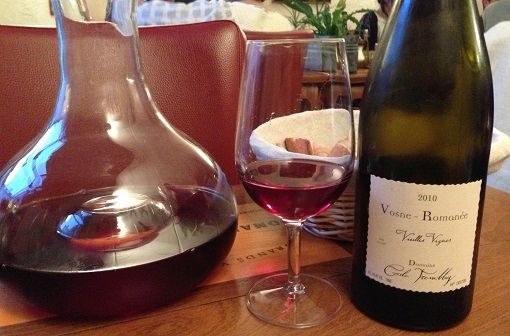 Cecile Tremblay’s 2010 Vosne-Romanée Vieilles Vignes is even better from bottle than it was from cask. Over the last year or so, the 2010 has really put on weight. Beautiful spice and floral notes wrap around the palate in a Burgundy that impresses for its resonant depth and pure beauty. My only regret is not having the time to follow the 2010 over a greater period of time. This is a gorgeous bottle from one of Burgundy’s most inspired growers. I am not a huge dessert fan, but I never miss a chance to try one or more of the homemade fruit tarts. 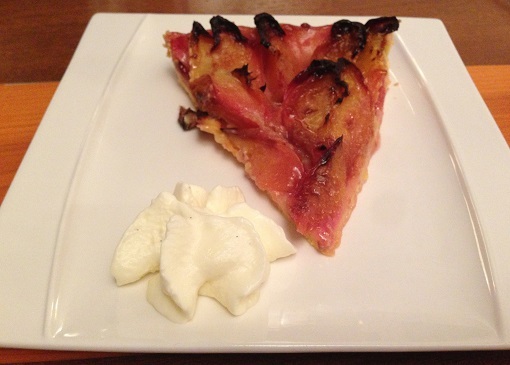 On this night, the peach tart is bursting with the exuberance of summer. It is utterly irresistible, as is everything else about Ma Cuisine. Readers making a trip to Burgundy owe it to themselves to indulge in at least one meal at Ma Cuisine.